Are you the gambling type? Maybe so, but some games are far more hazardous than others. Unlike the craps table, the winter-driving game can rob you of more than just a few mortgage payments — you could be risking the life of you and your family. 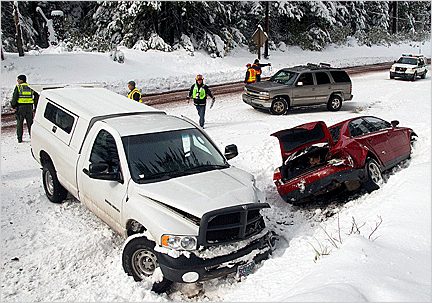 In and of itself, winter driving isn’t unacceptably dangerous. But it demands extra care. You can easily stack the odds against yourself if you ignore certain necessary precautions. 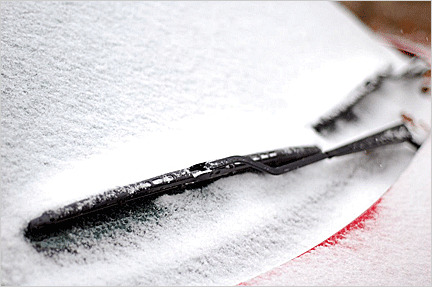 Here are some of the most dangerous gambles people take when driving in winter. The first winter-driving gamble many people take is neglecting to clear windows and taillights of snow, ice, and frost. The typical excuse is that the car’s defroster will do the job. That’s partially true. But it only works when the car is fully warmed up, which can take miles of driving. What’s more, it does nothing for the taillights. Other drivers won’t be able to see when you’re braking. It’s a far more serious risk than you might realize. Windshield wipers are one of those “out of sight out of mind” components. Most people don’t give them any thought until the weather is bad. But worn windshield wipers can actually make visibility worse, by smearing snow, ice, and frost across the windshield instead of clearing it. So check your windshield wipers more frequently during winter — the abrasive surface of ice and frost can wear them out quickly. Tires are one of the biggest factors in determining how much traction and stopping power you have in slippery conditions. 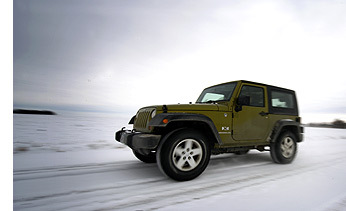 As tires wear, the tread gets shallower, compromising its ability to bite into snow. And it isn’t only worn-out tires that can perform poorly in winter. Although most new cars come equipped with so-called “all-season” tires, some are actually terrible in snow. This is especially true on high-performance cars, which have tires that are optimized for dry roads. For such vehicles, it’s a good idea to switch them for winter tires before every snow season. What may be a safe speed in good weather could be very dangerous in slippery conditions. Improve your odds by erring on the safe side. Don’t follow other cars too closely, and watch your speed carefully. There isn’t an exact formula for figuring out how fast you can drive in a particular foul-weather situation, so use good judgment. Pay particular attention to how road conditions are changing. When antilock brakes, traction control, and stability control were introduced, they were widely heralded as magic bullets that rendered cars impervious to foul weather. As a result, many drivers have become overconfident in them. Although such systems do indeed provide legitimate safety benefits, they also have significant limitations. Their biggest shortcoming is that they generally work by getting the most from your tires’ grip on the road. So, once the tires have used up all possible traction, there’s very little antilock brakes, traction control, or stability control can do for you. And that can happen quickly on ice or snow. The weather can change quickly in winter. What started out as a clear, sunny morning can be a massive blizzard by afternoon rush hour. If you don’t know what to expect from the weather, you could be taking the biggest gamble of all. Smart money knows that knowledge is power. Check the forecast every day in winter.